Invited back to run a management workshop on strategic marketing and sponsorship to delegates from both the Qatar Football Association and QSL (‘Qatar Stars League’) in the run up to Qatar 2022. Key note speaker at “Future of Sport” Conference at Northampton Business School. 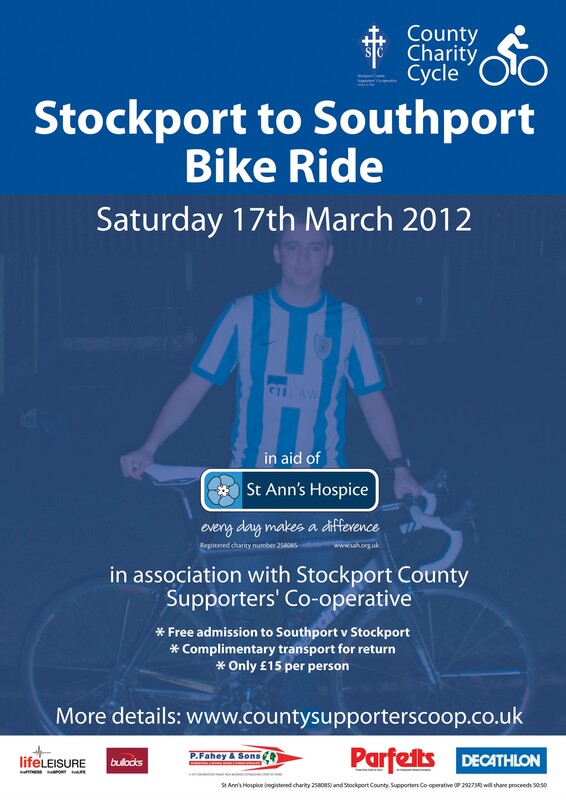 Marketing and fundraising administration for the inaugural “County Charity Cycle”. Assistance to exhibition management and prospecting for new business with two Clients: EDGE Public Solutions and Cardea Solutions. Manned stands. Discussed opportunities for delegates. Designed a stand and literature and prepared and procured merchandising. 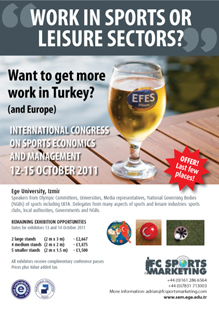 FC Sports Marketing has been appointed to market the “SPORTS ECONOMICS AND MANAGEMENT” conference and exhibition in Izmir. It is a collaboration between Ege University and Pamukale University and attracts speakers from Olympic Committees, Universities, Media representatives, National Governing Bodies (NGBs) of sports including UEFA. Delegates from many aspects of sports and leisure industries: sports clubs, local authorities, Governments and NGBs. I am presenting a paper at a leading conference for the football industry in Istanbul. 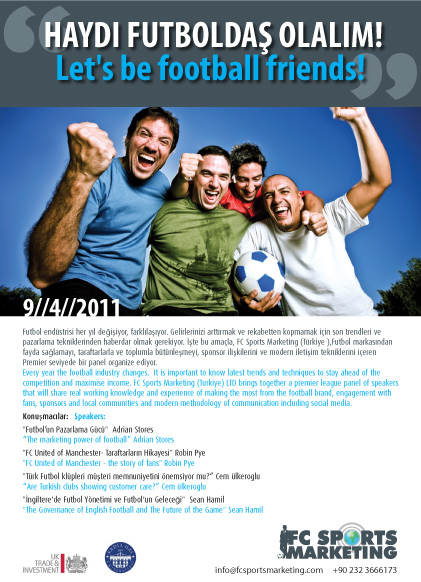 Kadir Has Üniversitesi is to host the Event promoted by FC Sports Marketing Limited. “The marketing power of football/Futbol’un Pazarlama Gücü” – Adrian Stores; “FC United of Manchester – the story of fans/FC United of Manchester- Taraftarlarýn Hikayesi” – Robin Pye; “Are Turkish clubs showing customer care?/Türk Futbol klüpleri müsteri memnuniyetini önemsiyor mu?” – Cem ülkeroglu; “The Governance of English Football and The Future of the Game/Ingiltere’de Futbol Yönetimi ve Futbol’un Gelecegi” – Sean Hamil. Every year the football industry changes. It is important to know latest trends and techniques to stay ahead of the competition and maximise income. The Event brings together a premier league panel of speakers that will share real working knowledge and experience of making the most from the football brand, engagement with fans, sponsors and local communities and modern methodology of communication including social media. Cem ülkeroglu is Managing Director of STELIA Sport & Media LTD with expertise in the areas of media rights, marketing, sponsorship and event management. Sean Hamil is a Lecturer at Birkbeck University and has been Director of Supporters Direct, the UK Government-sponsored organisation established to assist football supporters to set up trusts (co-operatives) which invest equity in their football clubs. He is Author to “State of the Game” and “Who Owns Football? : The Governance and Management of the Club Game Worldwide”.